Welcome to Three Minute Thursday - my weekly post for people with very little time who want to send a hand crafted card NOW... well okay, in three minutes! 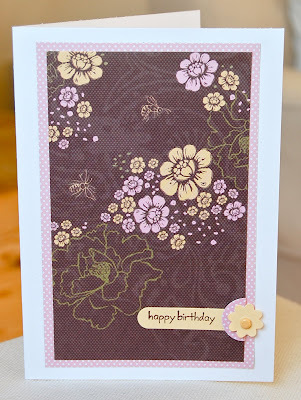 Today I'm going to show you a couple of cards using the time-challenged crafter's best friend - designer paper. The fact is, designer papers are often so stunning they deserve to be the focal point of a card. I adore this gorgeous paper from the Sweet Pea designer paper stack in the mini catalogue. 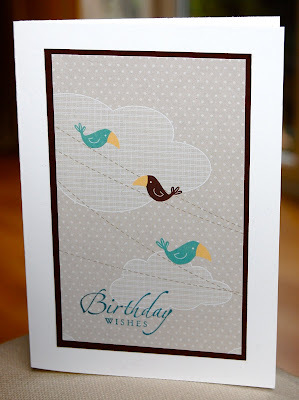 And by cutting it carefully to centre the birds, matting the image onto Chocolate Chip card stock, attaching to a Whisper White card blank and stamping a sentiment from Sincere Salutations you have a card ready to send pretty much anyone in minutes! I used exactly the same method for this card but had the sudden urge to add a ribbon embellishment. I thought I'd be able to fit it into the three minutes but I confess the ribbon tipped the time over into the four minute mark. I've included it though because if you're looking for a quick card, a minute either way probably isn't going to trouble you! I could've added felt embellishments or buttons to the centres of the flowers in very little extra time but I'm happy with the card as it stands - I'm a 'less is more' kind of girl! For today's final card, I used another stunning paper from the same pack (only available until the end of September folks - get it while you can!) It's another card that took slightly over the three minutes . This time I matted the floral onto a fine dotty dp - again from the same incredible pack. The sentiment was stamped onto a scrap of So Saffron card stock and punched out with the word window punch. 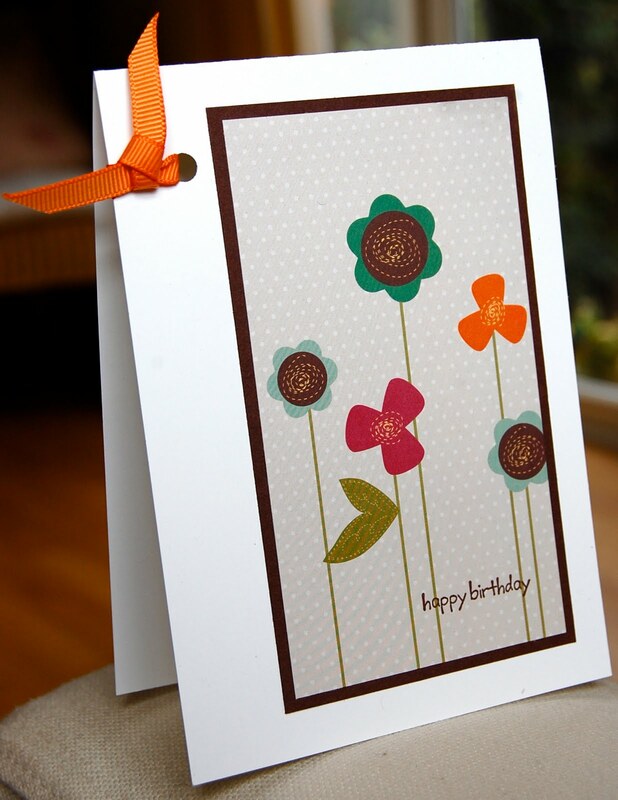 I added an overlapping circle of dp punched with the 3/4" circle punch which I folded behind the floral paper. The little flower is one of the flowers from the Boho Blossoms punch with a So Saffron brad in the centre. I love the way it sits perfectly in the dotty semi circle and I'll definitely be using this embellishment again. So there we go - three super-fast cards to send in minutes or use as the basis for something more detailed. I hope this Three Minute Thursday series is useful - don't forget to leave me a comment to let me know, or if there's anything else you'd like to see on my blog. Very beautiful cards. I like the second and the third very much. These are fantastic Victoria. I agree that some designer papers are too gorgeous to cover up with images and embellishments and this collection is stunning. What a great idea to use patterned paper as your focal point. I especially like the bird paper.